SUBMORPHICS, Riya, Villem, McLeod, Scar, FRISKE, Subview and more. This show was 12th in the global dnb chart and 31st in the global drum & bass chart. 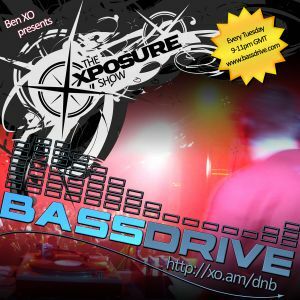 Ben XO presents the XPOSURE Show on http://www.bassdrive.com every Tuesday, 9-11pm GMT since 2001.